Commission work, after an example that popped up in a famous auction house a few years ago. 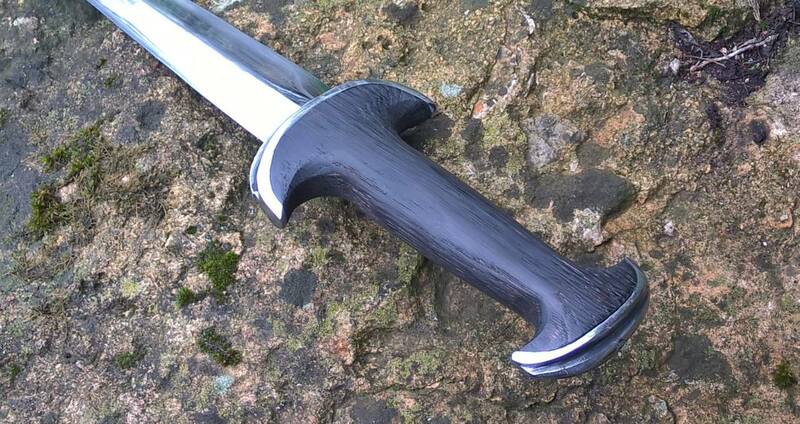 Hand-forged high carbon steel blade, steel fittings and oak grip. Such long daggers/short swords, with their typical crescent-shaped guards and pommels were worn by the dreaded Swiss warriors in the XVth and early XVIth century. 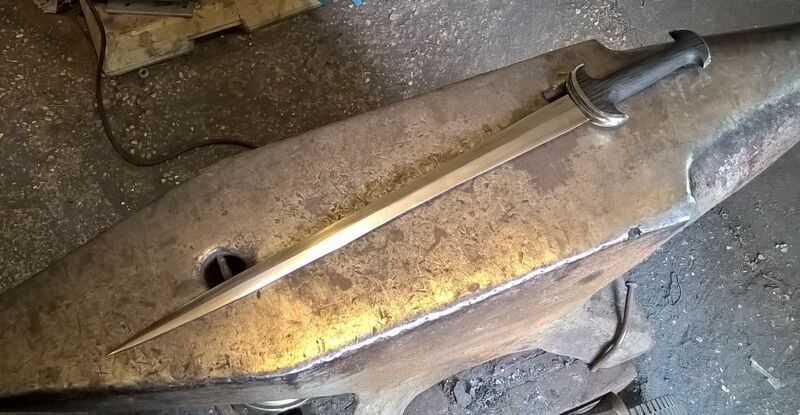 This one follows the construction methods of the original pieces, with the fittings first nailed to the handle then the assmbled hilt fit over the tang before final peening. OAL 53 cm. Weight is 278 g.
Really nice Fabrice, it has a very real presence! I like these Swiss swords, it's great to see your own very historical recreation. Someone is lucky to have this. I fell in love with style ever since seeing one in the 'Medieval Soldier' book a couple of decades ago and a really crisp yet 'earthy' piece. Well done. That's exactly what got me interested in the style, too! I love these, too, and I have a project on my to-do list. It's great to see a new one! I have noticed a great deal of variation in hilts, blade lengths and overall quality in surviving examples, but I can't recall seeing anything but some variation on the diamond section. 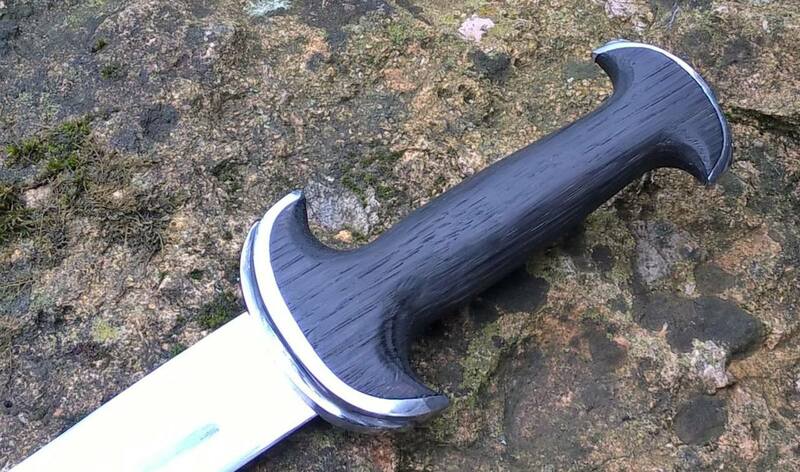 Fabrice, or anyone else: Have you ever seen a tapered hexagonal blade mounted in this style? I want one so I can be as cool as this guy. And thanks all for the appreciation. thanks! no bare (bear!) blades in that image. i just mean that i want a degen of this general form.